This definitive account of the Gulf War relates the previously untold story of the U.S. war with Iraq in the early 1990s. 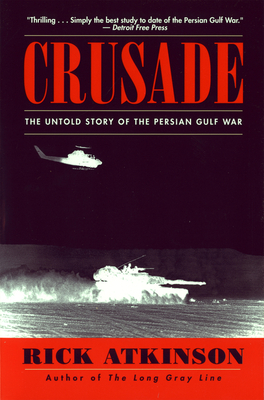 The author follows the 42-day war from the first night to the final day, providing vivid accounts of bombing runs, White House strategy sessions, firefights, and bitter internal conflicts. Rick Atkinson won a Pulitzer Prize in 1983 for a series of articles on West Point's Class of 1966, which later became the basis for his best-selling book The Long Gray Line. A veteran staff reporter for the Washington Post, he wrote the Post's lead stories during the Gulf War.